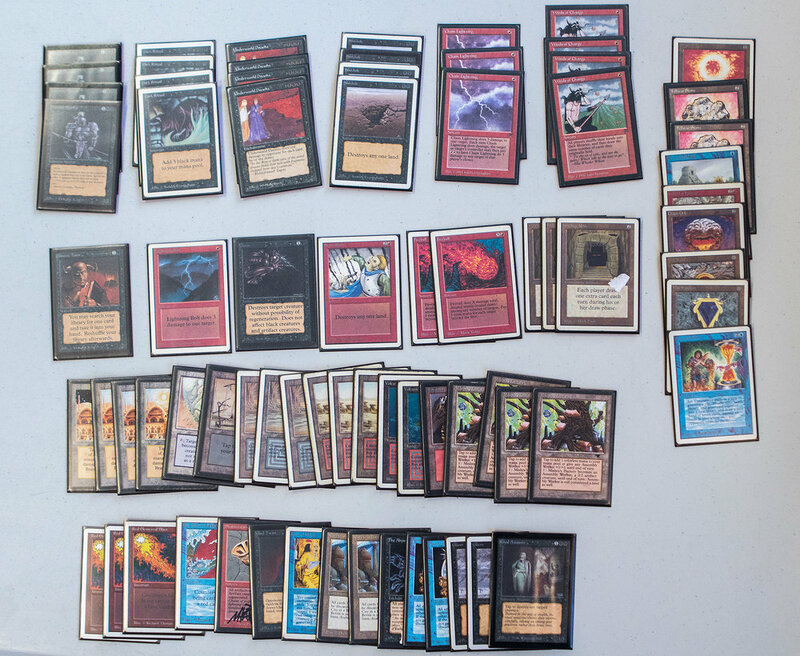 This will be the shortest post yet and mainly consist of images as I thought people would like to see what decks were played yesterday at the tournament Alphaspelen 3. So here they are in order of placement in the tournament. 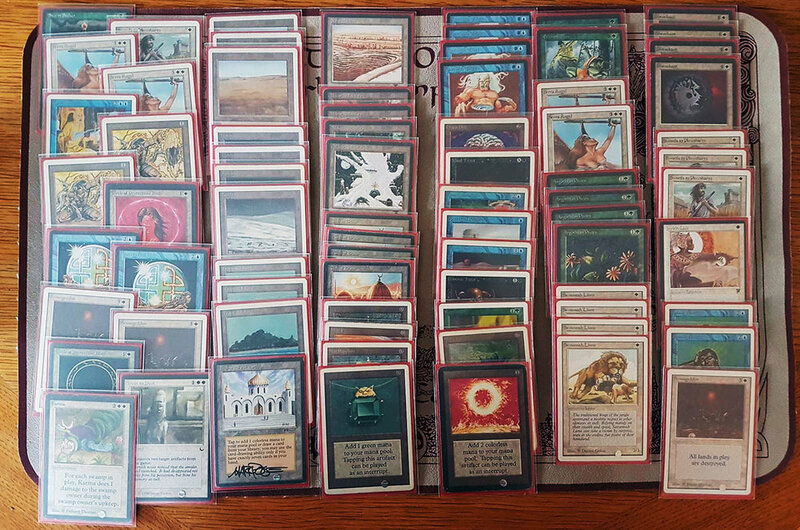 I'm also working on a tournament report that will come up later this week and also an in-depth article about my deck with a couple of different variations built on the same theme. But you will probably need to wait a week or two for that one. Ps. Thanks to Magnus Engdal who made it possible to photograph every participants deck. 8th - Yann Franzen - Eureka! And also, We have a blog now! Yes, you read that correctly. From now one we will try to give you guys even more old school content. How often will we update the blog? Who knows, but we promise to do our best to at least update once a month. Most of all, we just wanted a place where we could share our thoughts that don’t end up in the podcast or other places. That means you will mostly find short posts here, but we'll start it of with two longer posts and here is the first one. 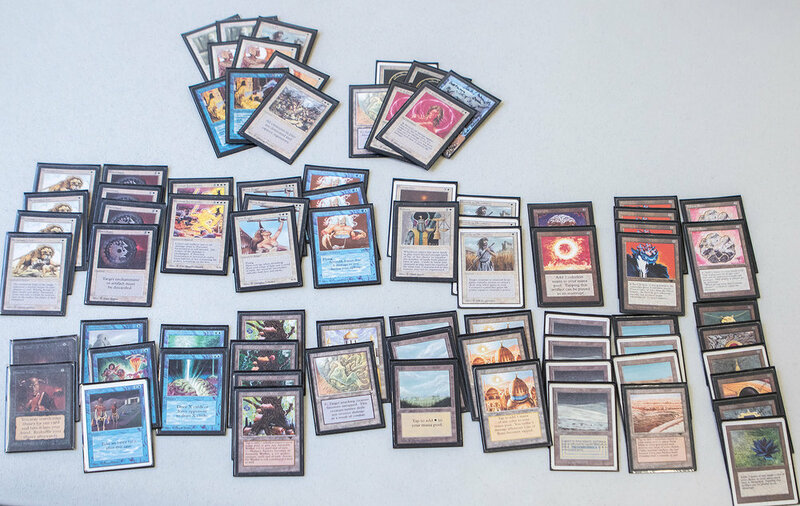 In our first blog post ever, we’re going to have a look at a couple of decks. 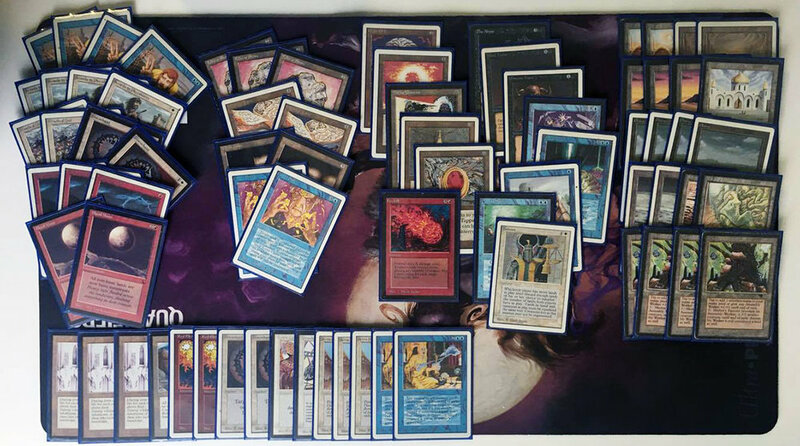 More specifically we’re going to take a look at all the decks which the Stockholm crew played last weekend at the Scandinavian Championship of 93/94 in Arvika with over 40 players. Some of decks also come with a short story from the player who played it. But without further ado, here are the decks! 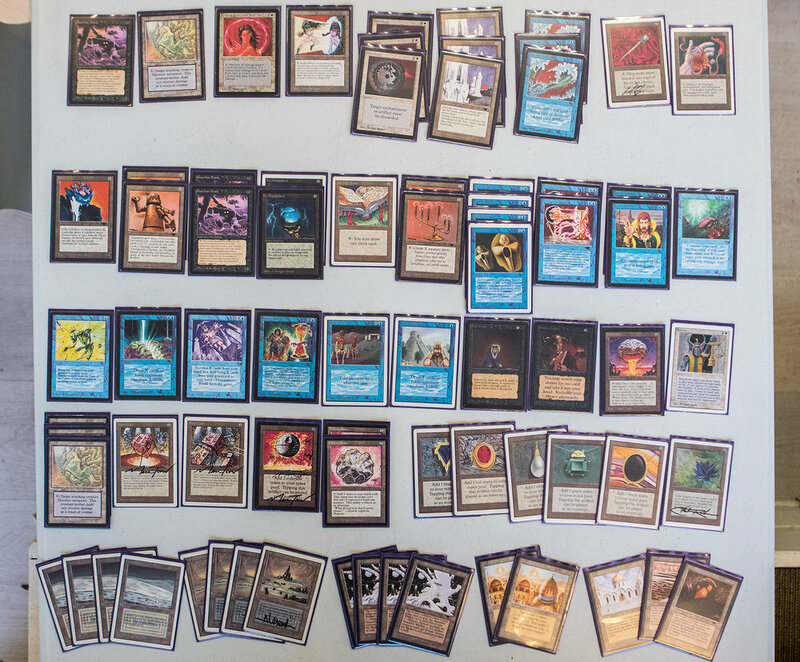 Earlier tournaments Max have played either Troll Disco or PowerMonolith but this time he went for an aggro deck, and as you can read in his story, he didn’t get much practice in before the tournament. Andreas hasn't played old school for long but has put up amazing results during that short time. As usual he played his signature White Zoo deck and his only comment from this tournament was “Died to Mono Black”, which is a shame because I would have loved to see his two Karma in the Sideboard to do their thing. When Jonas started playing this format White Weenie was his go to deck and now he’s back! Here is his short story from the day. “Right before the tournament started Kung Markus (the organizer) announced that there would be a price for best placed unpowered deck and as WW doesn’t play much power I decided to remove the Lotus and the Pearl from the deck. I just got a couple of minutes to do the change and without two plains to put in the mana base got a little bit unstable but who cares, right? Instead Björn Myrbacka lent me two Tividar’s Crusade and maybe that wasn’t bad because the deck who took home the price for best unpowered deck was a Goblins deck. 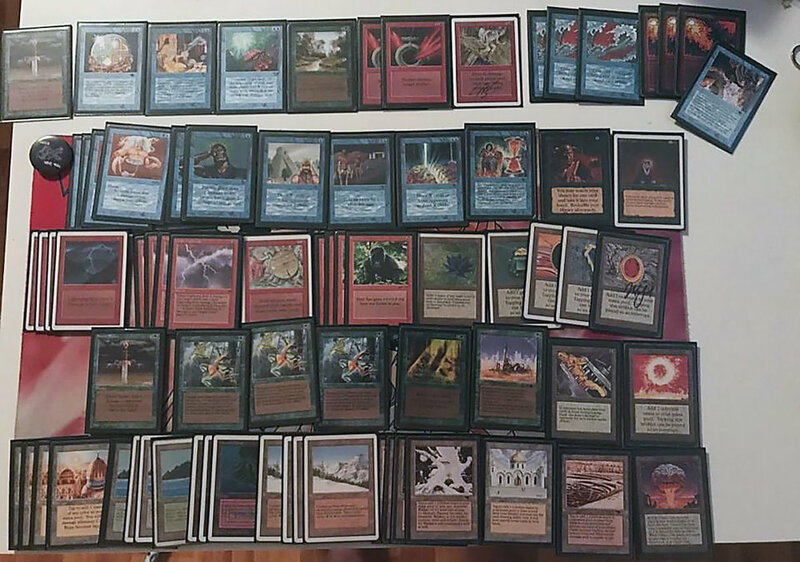 Peter is one of the Stockholm crew’s newest players but he has been able to get quite the 93/94 collection in a short time as he had a lot of Modern staples. The deck he’s been working on is a blue, white and red control deck with a lot of basics so he can play two Blood Moon main deck. Just before the tournament he was able to get hold of a couple of Underground Sea so this time he also splashed for Mind Twist and Demonic Tutor. A cool deck that will probably end up as The Deck as Peter get more cards. 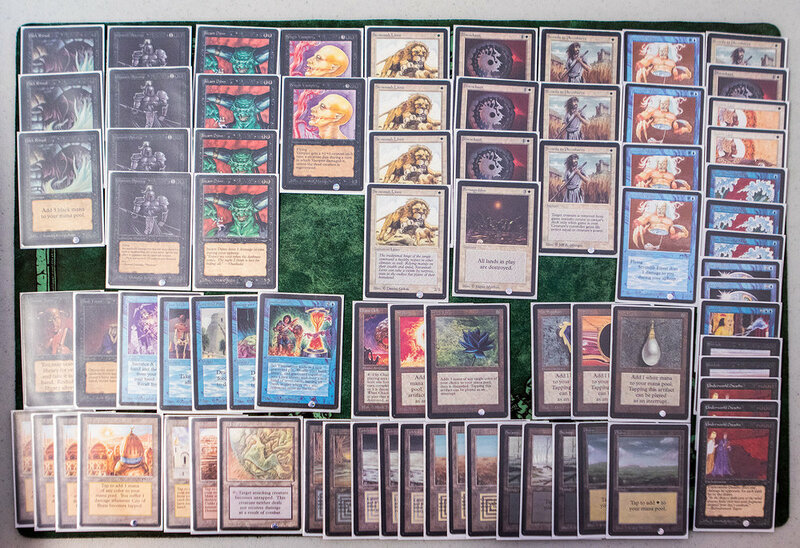 Johan has sold almost every non-old school card he had to instead invest in old school cards. And what a collection it has become as he is trying to get everything black bordered. Here is his story. Björn first played 1,5 years ago after trying to sell some old cards and met an old school player who told him about the format. He’s been hooked ever since and is now buying black bordered cards like there is no tomorrow. And it is the black border that decided his deck for this tournament. “The reason why I played the deck and build I did was because I really wanted to use my newly acquired black bordered Howling Mines. That made me build a more controlling and slower version of the classic Trick Deck. The plan was to control the game and keep my Howling Mines tapped with Icy and Relic Barrier until I could win the game with a draw 7 or when I had more than one Underworld Dreams in play. I ended up going 3-2-1 after I lost to Andreas Cermak and the winner Jimmie and got a draw against Kalle Nord. Other than that, I would say Balance was a MVP as always. Andreas has been playing for quite some time now and he usually does fairly well. This tournament was no exception. Yann is probably Stockholm’s craziest and most fun brewer and you never know what he will show up with. Last time it was Lich Mirror but for Arvika he came with a more classic (but just as fun) deck, Eureka! The picture is a little bit wrong though, he took out one Colossus of Sardia and one Fellwar Stone to ad his two newly bought Concordant Crossroads, a card I think is essential for the deck. Sorry to say I only think Yann got two wins in the time but for a first time with the deck that isn’t so bad. He probably should had have at least one more win because he played me (Gordon Andersson) and it is a horrible matchup for me, but more on that soon. And then we had me, going there to at last play the deck I’ve been brewing on for many months. Some of you may have seen the development on Instagram or read about it when it got its place in the Deck Archetype section of the site a couple of weeks ago. The deck for the day was Fork Recursion Combo and it actually went much better than expected. 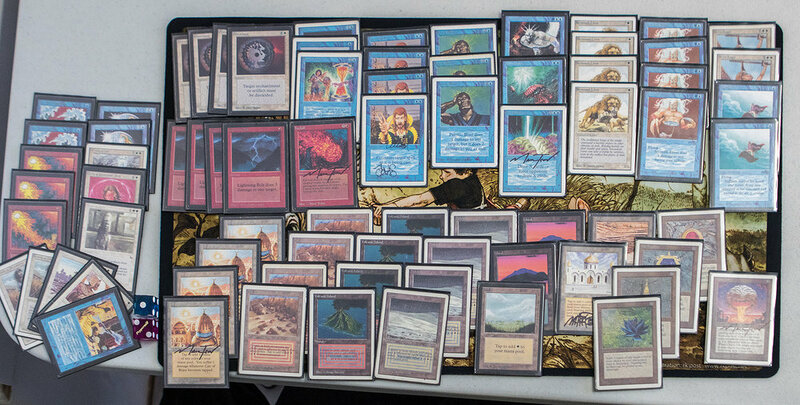 I actually think this is a “real” deck even if we’ve never seen it at a tournament since Mark Chalice played it in 1994. Step one for the deck is to play Howling Mine, Sylvan Library so you can draw your restricted cards, then play Fastbond to be able to utilize all the extra cards better than the opponent. After that you start to Fork restricted cards and try to loop Time Walk over and over again until you either switch life with a Mirror Universe or get to 13 mana for a Fireball+Fork win. First, I got to win against Stasis, then just barley lose to Kalle Nord after I scooped so we could get a third game in. He won the fifth turn in time with my worst matchup Parfait. After that I won against my second worst matchup, a Trick Deck, because I had playtested A LOT against that. My forth match was against Andreas Rosén which is supposed to be a great matchup but I didn’t draw anything and he steam rolled me. My last two wins was the most interesting ones. First against Yann Franzén on Eureka which is a faster combo deck so I was in a world of trouble. Luckily for me I was able to find Mana Drain in all of our games and even recur it to stop all of his Eurekas. Sorry Yann! The last match was against Jonas Rebenius on White Weenie, a matchup I think I have a slight edge in as their clock isn’t that fast. But the Disenchants could be a problem. When Jonas had two Circle of Protection: Red on the board and my only wincon is two Fireballs it looked grim, but forking his Disenchant on my Mirror Universe and then Chaos Orbing the last one got me through it.